1st UK Social Mix. (27th Oct.) Meet and network with Sisterlocks TM trainees, certified consultants and friends. We will be discussing hot topics relating to issues such as hair and Loc care, the effects on hair growth, thinning and baldness, success stories of becoming a Loctician and how to manage your clientele. 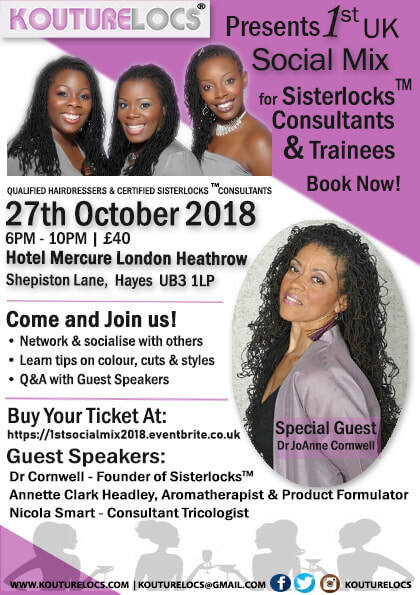 Don't miss our guest speaker, Dr. J Cornwell, founder of Sisterlocks tm, Annette Clark Headley, Aromatherapist & Product Formulator and Nicola Smart, Consultant Tricologist. Secure your place today as spaces are limited! Brand Ambassador Certification Class. 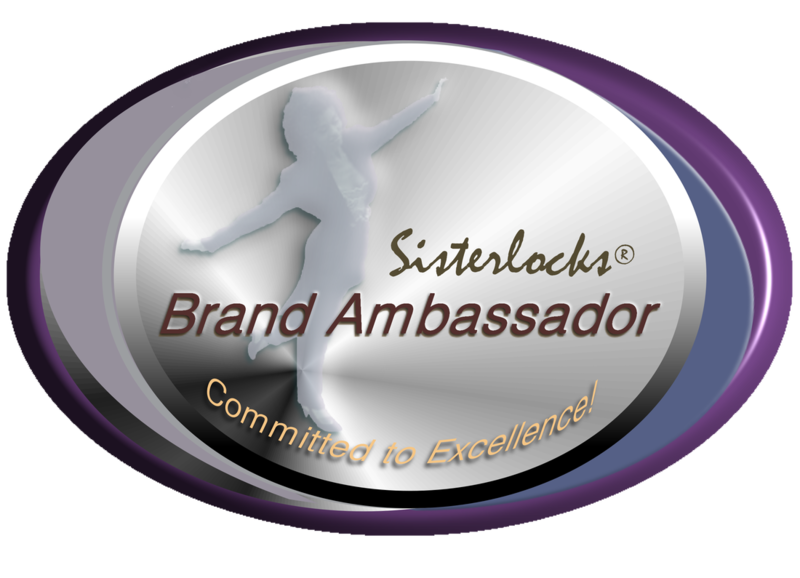 (28th Oct.) Certified Consultants in good standing want to be recognized for doing "real" Sisterlocks, and doing them well! Clients can now bypass social media confusion and misinformation or from ill-informed practitioners. Brand Ambassadors are fast becoming the most highly preferred consultants of all. Certification comes with great perks too too! Learn if this certification is for YOU!